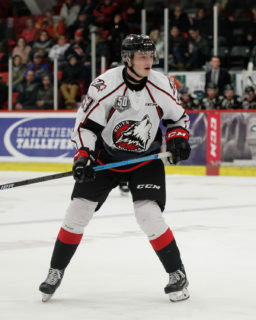 While still counting numerous players that won the 2016 President Cup on their roster, the Rouyn-Noranda Huskies have added a key member that’s won all the top honours this past May. To compensate for the loss of Gilles Bouchard behind the bench, the Huskies hired Mario Pouliot as his replacement; the new head coach having won both the latest QMJHL Playoffs and Memorial Cup. Since his arrival, Pouliot has also taken over the general manager role. The coach is making a comeback behind the Huskies bench. He had moved from the Midget AAA ranks to the Rouyn-Noranda bench back in 2009. He knows very well what type of team is appreciated by the local fans. At the end of its selection camp, the franchise announced it had held on to 13 forwards, nine defencemen and two goaltenders. Many players from the 2017-18 Huskies team that finished the regular season in the seventh overall spot of the standings will once again be wearing the red and black jerseys this season. Once again, the Huskies will have a solid goaltending tandem with Zachary Émond and Samuel Harvey between the pipes this year. Harvey dominated his QMJHL peers last season by maintaining 2.10 goals against average. With that in mind, it wasn’t all too surprising that the team finished in second place for goals allowed and in fourth on the penalty kill. The Huskies offence is looking to remain solid this season and improve on its seventh-place finish in goals scored last year. 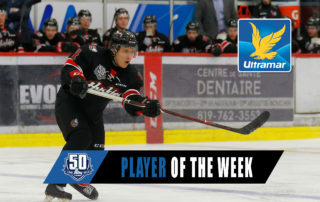 The Huskies will rely on some seasoned vets up front as four of their five top scorers from last year will be back; Rafaël Harvey-Pinard (76 points), Peter Abbandonato (75), Félix Bibeau (62) and Patrik Hrehorcak (48) scored over 100 goals between them last season. The veterans will also have a chance at setting the example for rookie forwards William Dufour, Mathieu Gagnon and William Rouleau. As for defencemen Pierre-Olivier Bourgeois, Jérémie Major and Samuel Régis, they will also be taking their first strides in the Q. Major was acquired from the Screaming Eagles in a trade this past August 27. They will be joining veterans William Cyr, Zachary Lauzon and Jacob Neveu on the blue line, all three having cumulated 471 games of experience in the QMJHL. 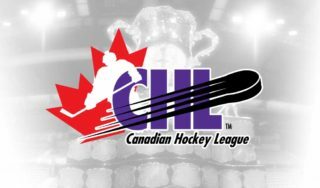 The Abitibi-Témiscamingue team will count on a pair of Slovakians as its European import players this season. Forward Patrik Hrehorcak, who racked up 48 points in 63 games in 2017-18, will welcome his fellow countryman Marcel Dlugos, an imposing blueliner that is 6 feet and 4 inches tall. 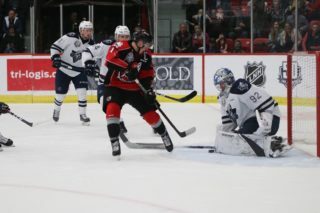 Last season, the Huskies were one goal away from the playoffs’ second round but ended up falling short after being eliminated in seven games by the Sherbrooke Phoenix. 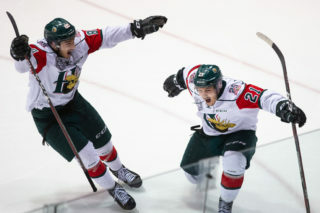 Abbandonato, Harvey-Pinard and Mathieu Boucher were the Huskies top players in the post-season, while Samuel Harvey tended net in all seven of the team’s games.